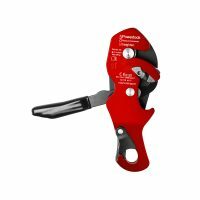 The POWERLOCK is a sophisticated tower rescue and evacuation descender specifically designed to recover a suspended casualty via a “pick-off” rescue in descent. 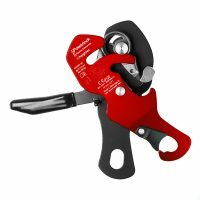 Patented secondary braking mechanism of the alloy POWERLOCK tower rescue and evacuation descender increases the force applied by the operator and provides a dampening effect when the braking cam is released. Very fine descent control with minimal “Go” position for maximum safety. The tail rope can be pulled back through the device if needed, allowing the device to move back up an unloaded rope. 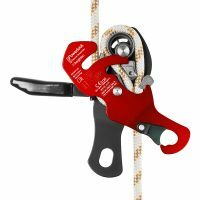 The POWERLOCK is intuitive to use for both descending and lowering. 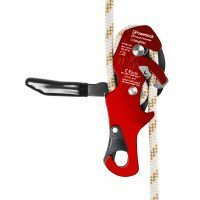 The long handle allows for fine control of rope friction during descent. Anodised aluminium material used for this device ensures the device is light weight, easy to use and contains scratch resistance qualities. High load rating – suitable for two person loads. 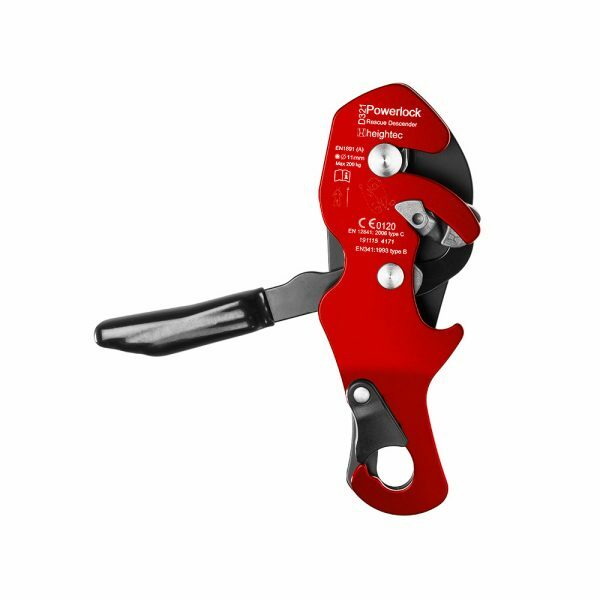 POWERLOCK is supplied as component of TowerPack – Tower Rescue System (WK33 & WK34) . This work system is for evacuation, lowering or recovery of a casualty by abseiling from tall structures. Revalidation course in the use of RescuePack industrial rescue systems.